This recipe was mostly followed. 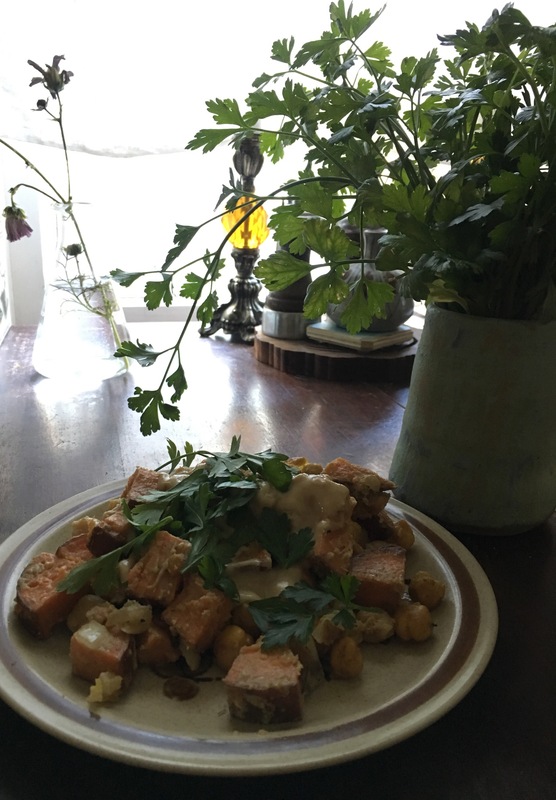 I had some curry roasted chickpeas on hand from when I wanted them on top of a lentil soup and added those into this meal for a nice crunchy texture. It made enough for three lunches at school. Homegrown parsley in a hand thrown pot featured in the middle ground. Parsley grows so well in my garden so I try to incorporate it into more dishes, especially when the frost has taken away my basil supply.